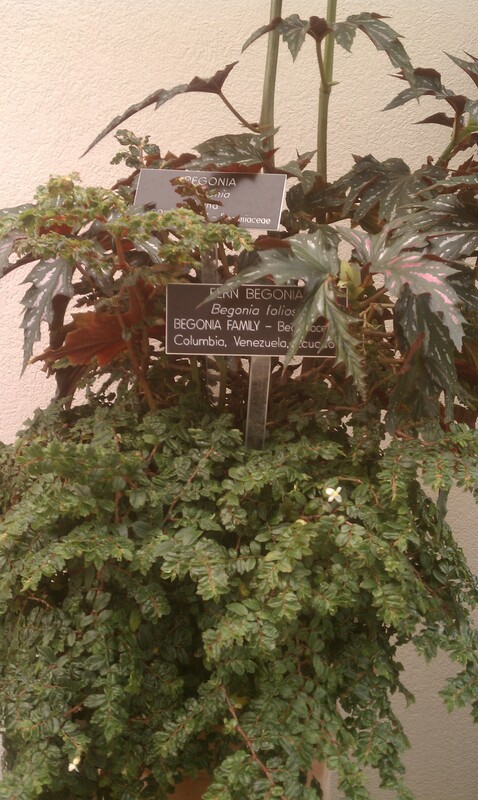 I must admit that I’ve never been a big fan of begonias. They just seemed a bit boring to me. Well, I’m just back from a trip to our nation’s capital and had the opportunity to visit the US Botanical Garden, tucked beside the US Capital building. Suffice it to say that my opinion of begonias has changed! Let me introduce you to four begonias that changed my mind! 1. 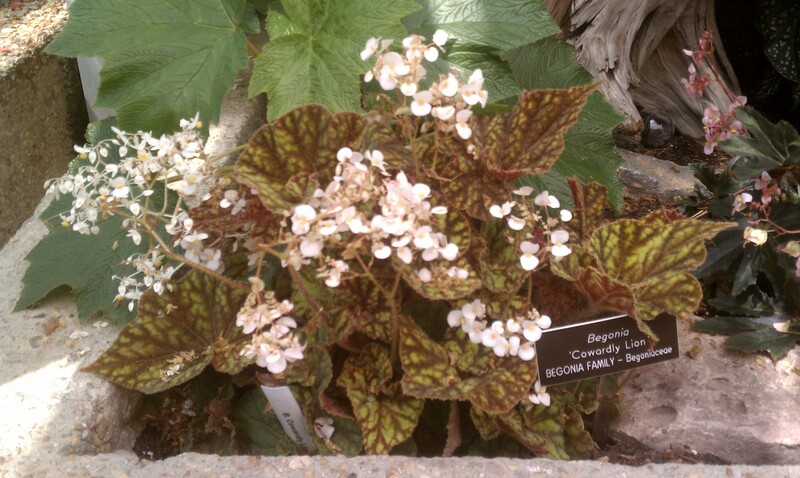 Cowardly Lion Begonia (above): is a rhizomatous plant that’s easy to grow. It has large green leaves with chocolate veins. Very pretty! 2. Crackling Rosie Begonia (right)…. 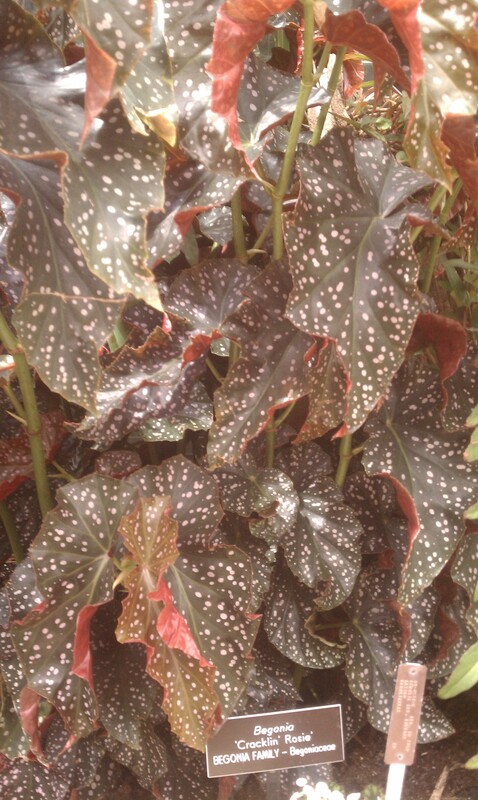 Beautiful spotted leaves! I always loved that Neil Diamond song and now it has a whole new meaning! 3. 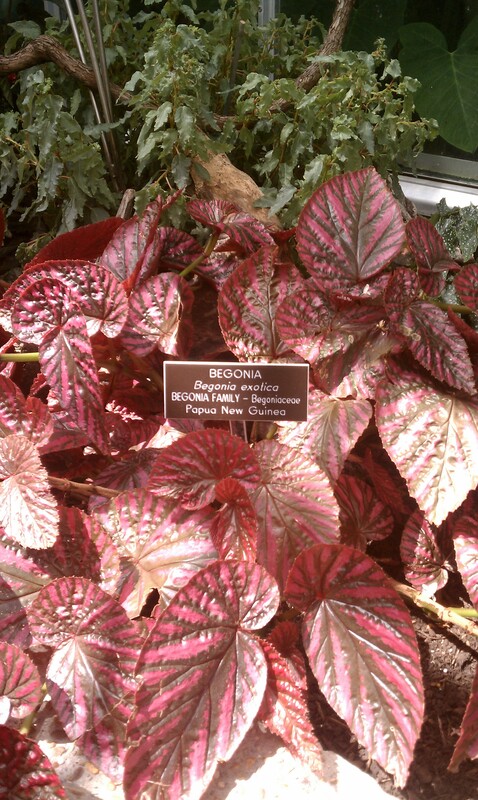 Papua New Guinea Begonia (below left): Lush reddish leaves with dark veins. 4. Fern Begonia (below right): drapey green leaves with fragrant white star-shaped flowers with light pink tones.